Android smartphone owners that would like to transform their smartphone into a desktop computer might be worth giving the new Andromium Computing Platform a little more investigation. The Andromium Computing Platform has been crated to “democratize desktop computing – unleashing the full potential of your android smartphone” say its inventors. Watch the video after the jump to learn more about the Andromium project and see it in action. 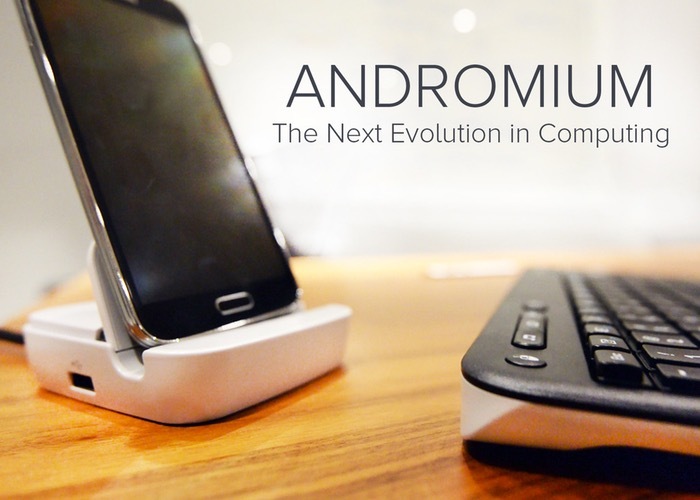 The Andromium Computing Platform project is currently over on the Kickstarter crowd funding website looking to raise $100,000 in pledges and seamlessly integrate with your smartphone. “The Snapdragon CPU inside many of your devices is faster than the number one supercomputer in the word in 1996! And it could be just sitting idly in your pocket right now, as you browse Kickstarter on a clunky desktop computer. So if you think Andromium is something your Android smartphone could benefit from, visit the Kickstarter website now to make a pledge and help Andromium Computing Platform become a reality.